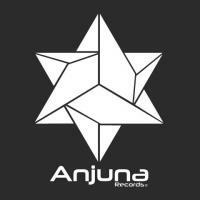 Anjuna had the most liked content! Jamie left facebook due technical difficulties (accidentally changes his profile name to Simon Posford) Paul - Your package has been shipped long ago - keep us updated if it doesn't arrive in the following week and we will reship you your order Peace. It's ready, we will announce it officially soon. And we would also like to thank the huge amount of people that bought this album! Thank you! Ps. Phobium #goa@efnet? Brilliant, Thanks Paul! Hope you guys like the new design! Antic, That is correct, release date as noted is 1/12/14. fans that would like to purchase this CD in preorder can do it now. No immediate digital downloads at this point, just physical preorders. Album announced and available for preorder! Have fun.